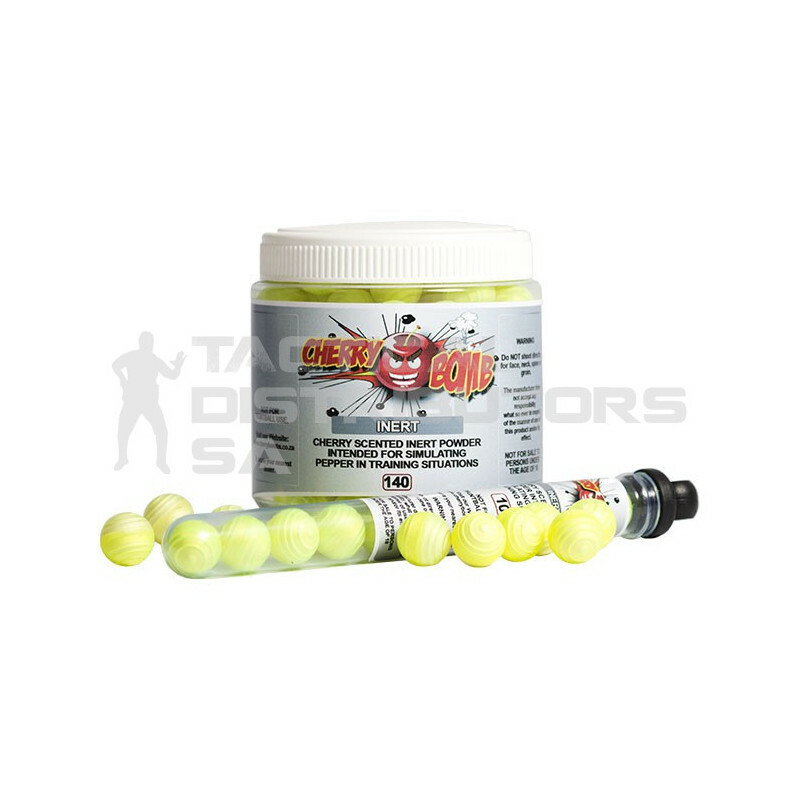 Cherry Bomb Less Lethal Rubber Balls with low ricochet. 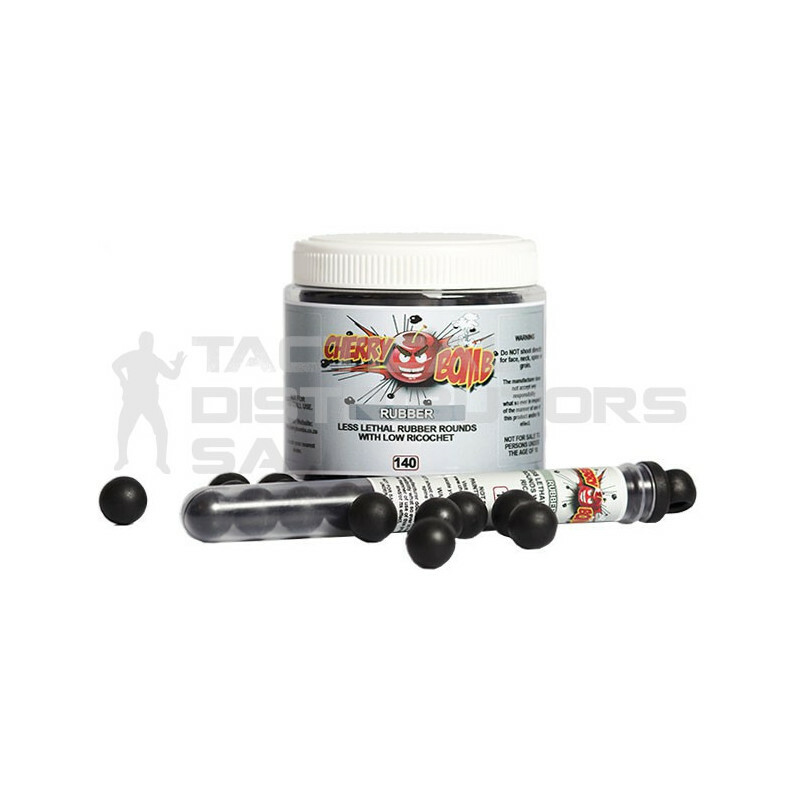 Solid rubber, .68 calibre intended for use with Paintball Markers designed for self-defense or security. Please note: Cherry Bomb Rubber Balls are intended for lawful security & self defence purposes only. TDSA cannot and will not be held responsible for injury, damage to property or death due to misuse or negligence when using this product.